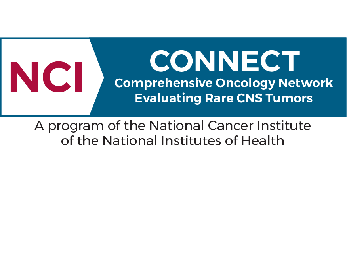 The IBTA is excited to announce its participation in a new program at the National Cancer Institute, Center for Cancer Research, Neuro-Oncology Branch called NCI-CONNECT (Comprehensive Oncology Network Evaluating Rare CNS Tumours). The program aims to advance the understanding of rare adult central nervous system (CNS) cancers by establishing and fostering patient-advocacy-provider partnerships and networks to improve approaches to care and treatment. Develop an infrastructure across a network of national and international sites to study select rare CNS tumours. 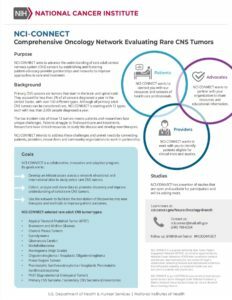 Collect, analyse, and share data to promote discovery and improve understanding of select rare CNS tumours. Use the network to facilitate the translation of discoveries into new therapies and methods to improve patient outcomes. NCI-CONNECT is a program supported by the National Cancer Moonshot. View the NCI-CONNECT website and its current studies to learn more.